Another classic release from Ray Ban. The new Ray ban RB 3428 Road Spirit sunglasses are a plastic and metal decked out version of the all time classic Ray Ban Aviator RB 3025. Acetate inserts line the eye wire and sweat bar and the frame is fitted with “pull out all the stops” premium lenses. The hard to scratch glass lenses in the Ray Ban Road Spirit have a back surface anti-reflective coating, a flash mirror applied, and are gradient as well as polarized. 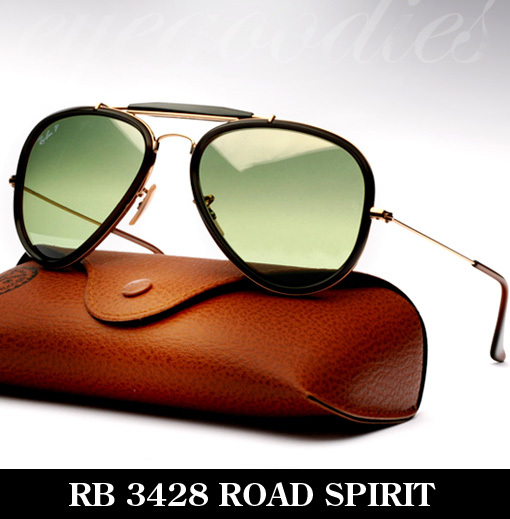 Ray Ban continues and even elevates their use of high end materials with the Road Spirit, which is a great addition to its line-up of aviators. 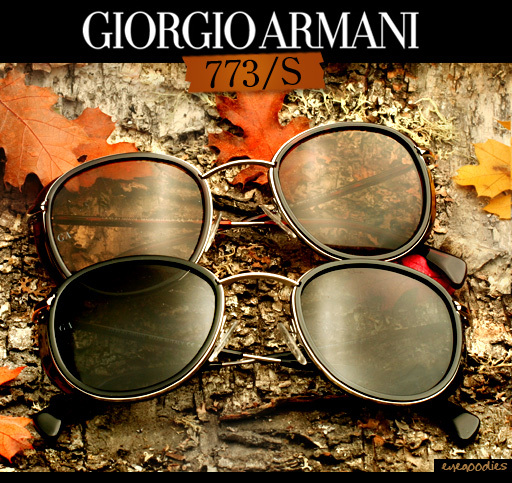 The newly released Giorgio Armani 773 sunglasses. These classic shaped Armani shades feature acetate shields for unwanted glare (and aesthetics). The acetate inserts in the metal frame make for a simple, classic, mature pair of Italian sunglasses. They closely resemble a great pair of vintage Armani sunglasses from the late 1980’s / early 90’s . This understated subtle styling is just what Giorgio Armani was known for and did best back when their sunglasses were on the top of their game. The new RetroSuperFuture Metal and Acetate sunglasses now in stock. While past season’s Super introduced a number of new shapes, the new Fall Winter 2010 collection is all about the use of a variety of materials. First there was the all leather flat top, now we take a look at the new Metal & Acetate (M&A) sunglasses and eyeglasses. 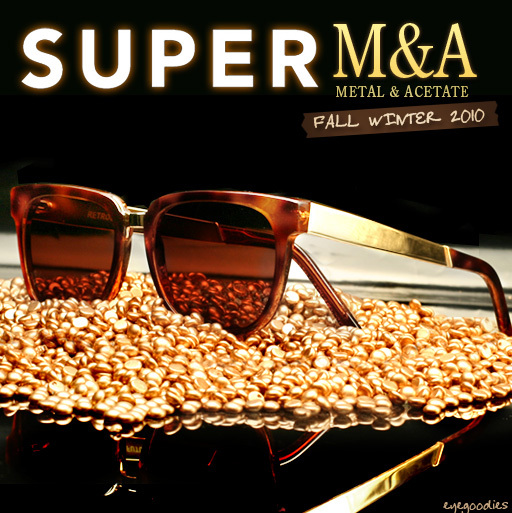 The Super M&A collection is just as the name implies, a use of “metal and acetate”. Super takes their People and Lucia models and updates them by using gold metal on the temples and bridge. The contrasting combination of the metal and acetate especially on the bridge gives it a very nostalgic classic 1950’s vibe, but still maintains a very young, relevant and current fresh look. 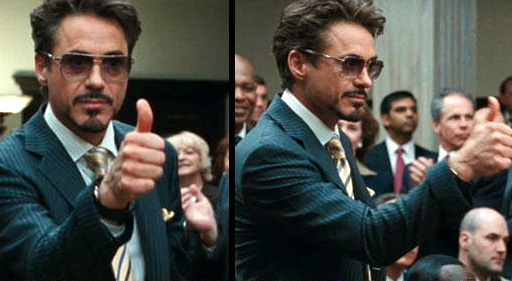 Previously sold out worldwide the Initium “All In” sunglasses worn in Iron Man 2 are now in stock. 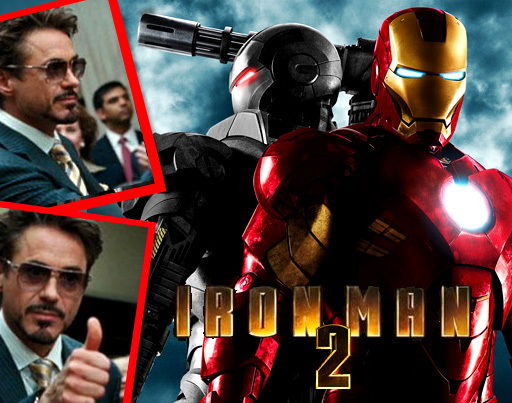 Yes cool enough for Iron Man himself, the Initium All In sunglasses are the shades worn by billionaire weapons inventor Tony Stark / Iron Man ( played by Robert Downey Jr. ) in the blockbuster Iron Man 2. The Initium All In, from the Initium Metal Collection, are far from your average aviators. Fitting almost everyone well, it is the detailing that really sets them apart; Such as the Initium laser etched on the top of the bridge and temples or the spring loaded hinges which gives them an extra comfortable fit. These are one bad a** set of aviators. Available in polished silver with grey gradient lenses (as worn by Robert Downey in the film) , also available in yellow gold with brown gradient lenses. 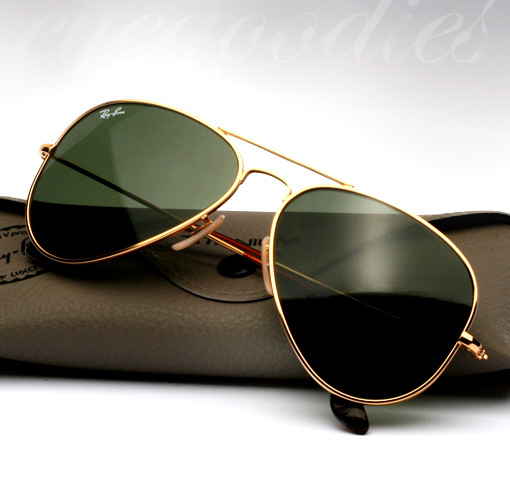 Ray Ban upgrades their classic Ray Ban aviator model with the use of Titanium. The new Ray Ban RB 8041 Titanium Aviator sunglasses simply termed by Ray Ban as the “Aviator Titanium”, takes the exact classic best selling Ray Ban Aviator RB 3025 model and improves it by crafting it out of pure beta titanium. Titanium is not only a lot stronger than steel, its also extremely anti-corrosive and a lot lighter weight. The Ray Ban Aviator model, first created in 1936, truly is a timeless style that is meant to last a lifetime; The added durability and strength of titanium helps ensure they will. Available in four color combinations (pictured below) including the all time classic gold with G15 lenses. It is also offered in two models with lenses that are both gradient and polarized, a rare treat you don’t see that often.